After many years of hopeful expectation, IronPort (now part of Cisco) finally open sourced a bunch of stuff, most importantly Shrapnel, our proprietary version of stackless Python. Back when I worked at IronPort (2004-2006), I was dying for them to open source this stuff. 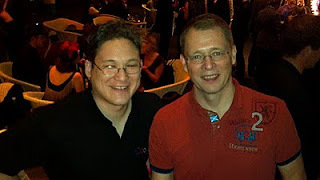 The existing open source version of stackless Python at the time never had quite the same flavor or emphasis as Shrapnel, but these days gevent is very similar. I gave a talk on Dart at g|egypt 2.0. All I can say is, wow! First of all, I wasn't even on the agenda. In fact, the room I was using wasn't really even labelled on the map--it took me several minutes to find it. It was a small room. 2 minutes before my talk was supposed to start, I only had 3 people in the audience. However, 10 minutes later, every seat was taken, and people were standing at the back and along the sides. The room was packed! People were very excited about Dart and asked a ton of excellent questions. Even after my talk, I had to stand around for 2.5 hours answering more questions. 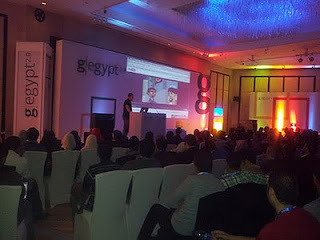 I gave a talk called YouTube for Your Business at g|egypt 2.0. I was really worried that I would lose my voice during the talk. It's very crackly right now. Since this is the first time I've visited the middle east, I'm suffering a little from culture shock. I forgot to remove a beer joke from one of my slides. It took me a few seconds to realize why people weren't laughing. What's really funny is that I don't even drink!